Demons of the Punjab, written by Vinay Patel (Murdered by my Fahter) and directed by Jamie Childs, is a deeply moving and tragically dark story. Yaz wants to lean about her families past, so having a friend with a time machine comes in handy, and she persuades the Doctor to take her back in time to the day when her grandmother got married. It’s not long before the Doctor realises the significance of the world changing events they have inadvertently become involved in. Partition would herald stark divides; the displacement of millions of people, and terrible violence that would change lives forever, and now the Doctor and her fiends must tread softly in the past and let events transpire – despite their foreknowledge of the heartbreaking tragedy Yaz’s nanni with face. Jodie Whittaker gives one of her finest performances to date as the Doctor. 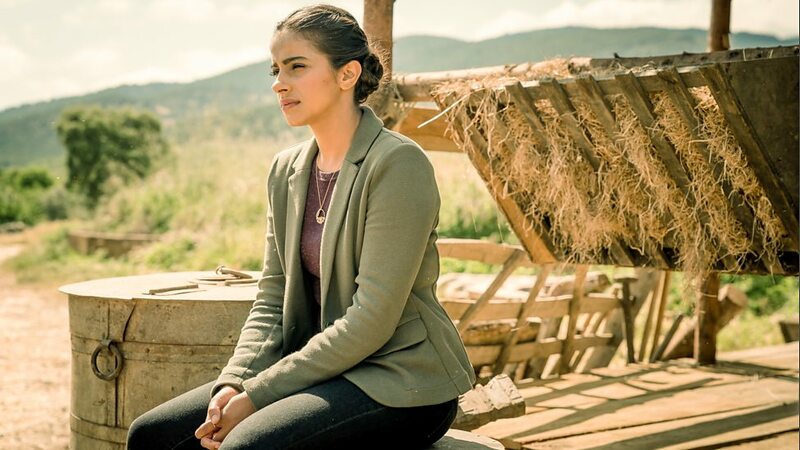 Bradley Walsh and Tosin Cole also acquit themselves well as Graham and Ryan, but it is Mandip Gill as Yaz who really takes centre stage in this episode about her gan’s past. The extensive guest cast which features Leena Dhingra as Nani Umbreen, Amita Suman as Umbreen, Shane Zaza as Prem, Hamza Jeetooa as Manish, Shaheen Khan as Hasna, Shobna Gulati as Najia Khan, Ravin J Gantra as Hakim Khan, Bhavnisa Pramar as Sonya Khanm, and Barbara Fadden as Almak all give strong performances. Doing history on such a human scale is what Doctor Who does best, never more so than when the drama plays out against the backdrop of such powerful themes and personal issues like this. Obviously being a family show, Partition isn’t realised in a graphic way on screen, but the emotional fallout and sombre tone that builds throughout the episode actually makes the depiction of these events and the way it would shape the life which Yaz’s gran would lead ultimately feels a lot more powerful and poignant as a result. Naturally, being Doctor Who there are monsters for the Doctor to contend with. Initially thought of as demons by those who’d seen them, these creatures which have been glimpsed as people are about to die alone, are the Thjarians. 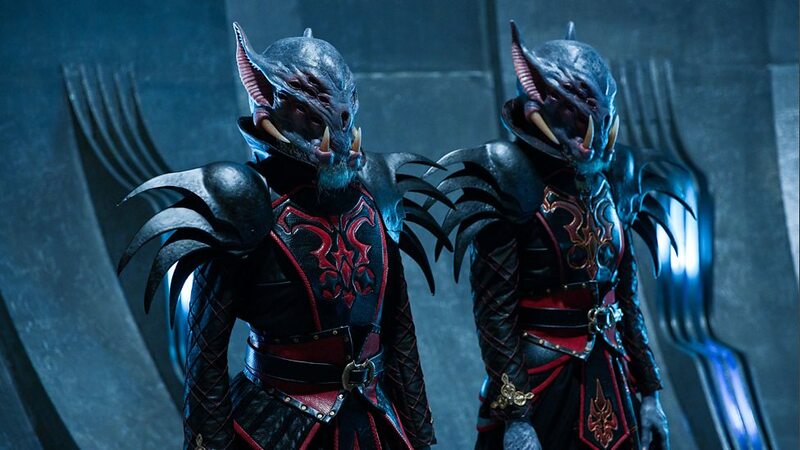 Once know and feared as the deadliest assassins in the universe, the Thjarians civilization is now gone, and these two lone survivors of their kind now travel endlessly to witness those who will perish alone because they themselves were not there to witness or honour the destruction of their own civilization. The location filming in Spain gives this episode added scope and scale to bring the story to life as well. I actually watched Demons of Punjab while I was hospital recently. 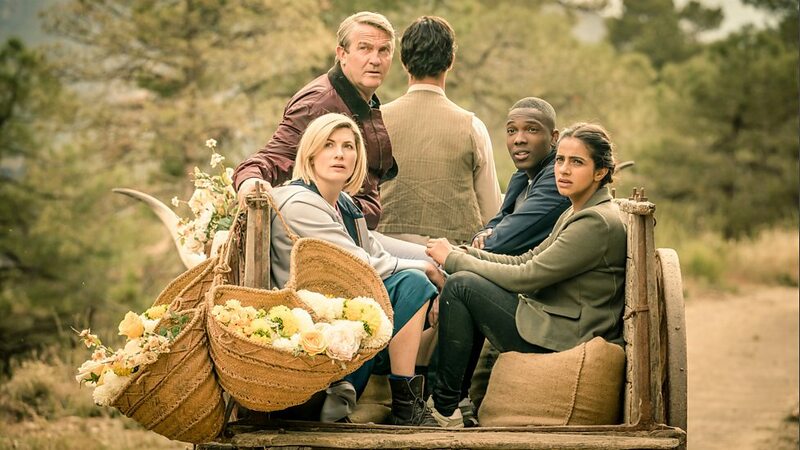 Although I was on a drip at the time and not feeling too good, I thought it was an excellent episode, and one of the most emotional and moving Doctor Who stories I’ve seen in a long time. I really liked how the sci-fi and historical elements seamlessly merged and that the monsters were not quite what they seemed either. The resolution of the episode was also handled well. 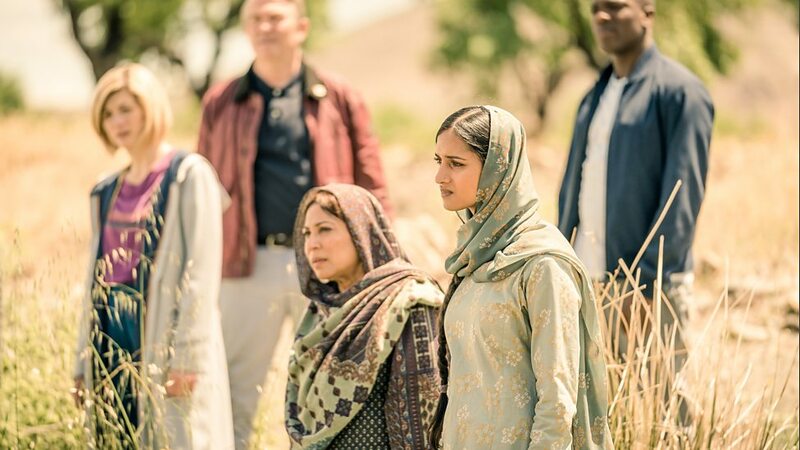 There are times when everything in Doctor Who seems to click together just right, Demons of Punjab is a thought-provoking tale, and one of the standout episodes of the 13th Doctor’s new adventures.